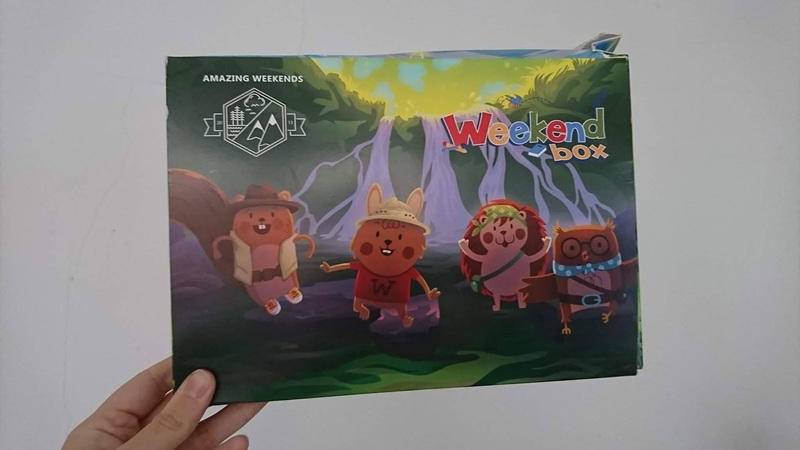 If you haven't heard of Weekend Box, it is a fornightly subscription box for children filled with items that are fun, educational, engaging and stimulating. 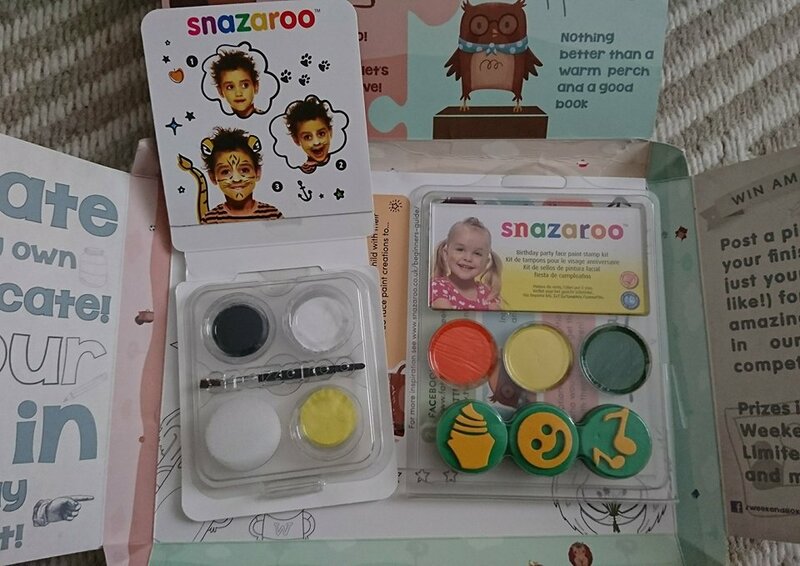 They recently teamed up with face paint company Snazaroo to include their items in the Weekend Box. 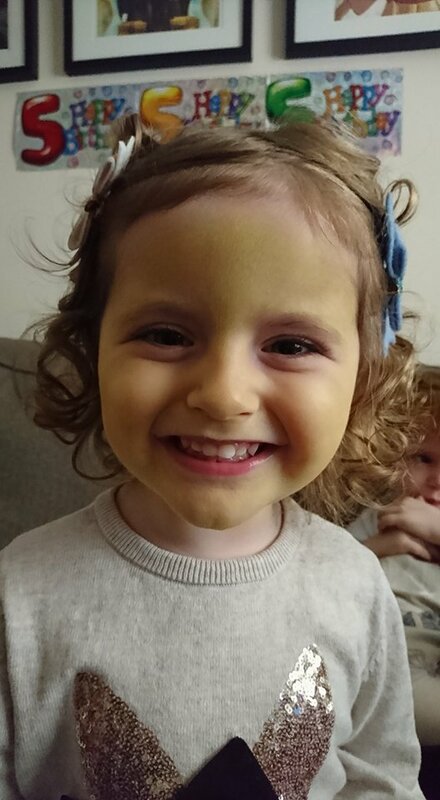 I have heard of Snazaroo before but had never actually tried their face paints so I was really excited to give them a go. When the box arrived through the letterbox, I loved that it was so brightly decorated and addressed to my son. He's five and is delighted when he gets post with his name on it. Inside we found two mini Snazaroo face painting sets - a tiger set and stamper set. There was also some information on entering their Monthly Competition by submitting photographs of your creations. 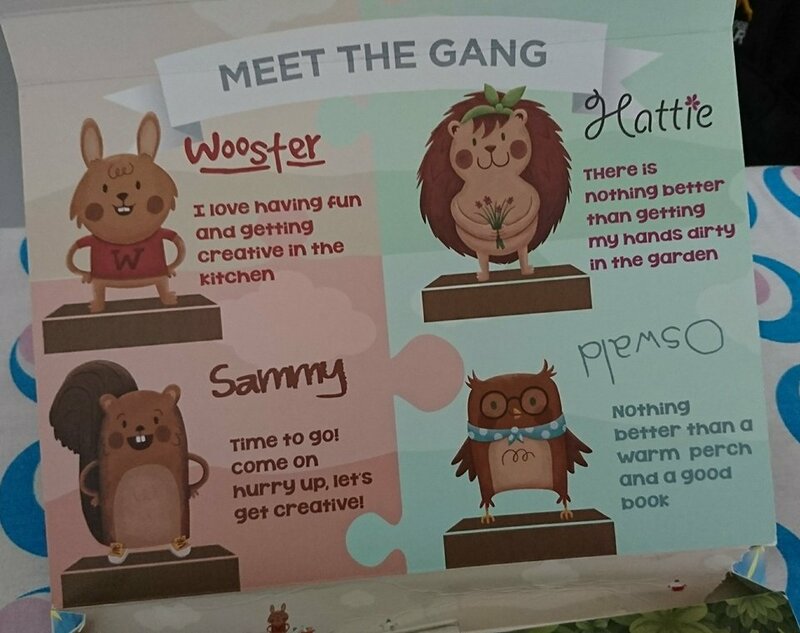 I really like the additional "Meet the Gang" imagery inside, the children enjoyed this little touch - I think my daughter is definitely Hattie and son is Oswald! 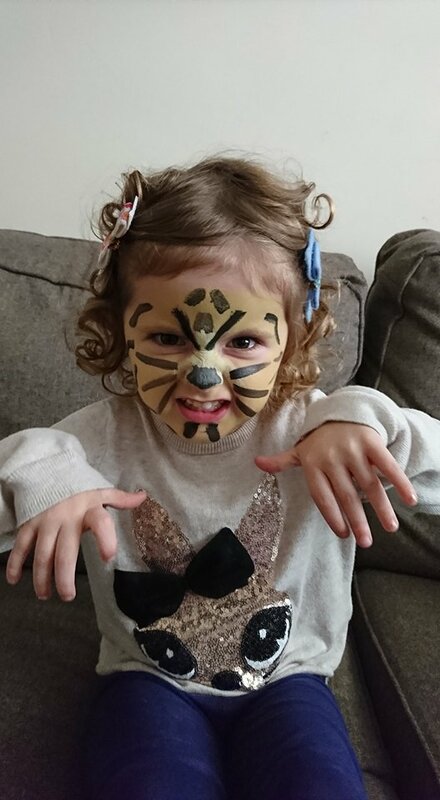 My three year old daughter E was desperate to be painted as a tiger so of course, she had to go first. The tiger set has only three steps so even a beginner like myself can follow it easily. You get three different colours: yellow, black and white; a brush and a sponge. All you need to do to use the paints is dip either the sponge or brush in some water and you're ready to go. I covered E's face in the yellow first, brushed a little white paint around her nose then used the black for her tiger nose, whiskers and stripes. I don't think I did too bad a job! C was a little less eager but for a child who has sensory processing issues, I wasn't surprised. He did, however, let me do the stampers on each of his cheeks - a smiley face on one and music notes on the other. He kept them on for a full five minutes whereas E was happy enough to wear hers all night! After a wash with soap and water, all traces of the paints were removed easily and it didn't seem to irritate either child's skin. They are fragrance and paraben free and are suitable for sensitive skin. 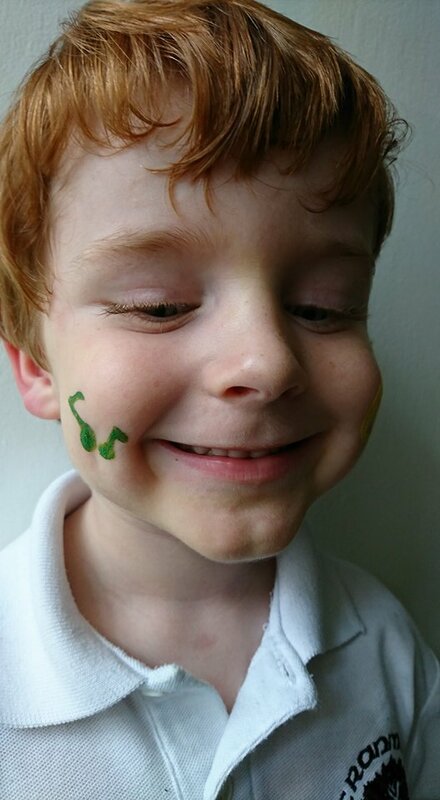 We have had tons of fun with our Snazaroo paints and, if anything, it's made me want to practice my skills a bit more and buy a few other sets! The Weekend Box that we received is priced at £2.99 which is very affordable and makes for a fun, bonding afternoon between you and your little ones.